Police want to trace a car used by offenders who fired a shotgun in Lancaster. Police investigating a shooting in Lancaster and a linked incident in Preston have released more information about a car they want to trace. Officers believe that a Toyota Yaris, possibly red, was used by the offenders in both incidents and they are keen to trace it or speak to anyone who may have seen it. The car was bearing the registration plate R66 MHN which was cloned from another genuine vehicle. Police believe the car may have been abandoned by the offenders in the Lancaster area. 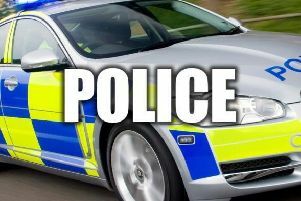 Officers were called at shortly after 9pm on Monday (November 20) to a report that a single shot from a shotgun had been fired through the window of a house on Lunecliffe Road, Lancaster. Police are linking the firearms discharge to an earlier incident in Preston. In that incident on Linnet Street at 8.20pm on Monday two men burst into a house occupied at that time by a 16 year old boy and his 18 year old sister. The glass in the front door was smashed and a brick was thrown through the front window. Officers have warned those responsible that their conduct will not be tolerated. Detective Chief Inspector Richard McCutcheon, of the Force Major Investigation Team, said: “We still need to trace the Toyota Yaris that we believe was used by the offenders during both of these serious incidents and I would appeal to anyone who sees a vehicle matching this description or who remembers seeing one in the last few days to get in touch. “Incidents like this will not be tolerated and extra patrols have been deployed in the affected areas.